My managers know that I hate working night shift (11 pm to 7 am) but they still made a schedule for m saying that I'll be working 11 pm to 7 am for 4 straight days! I am quite unhappy with this situation and I know why this has happened to me... I don't know how to say NO! to people. That is why they take advantage of me. They think I'm the kind Filipino guy who they can boss around well they have another thing coming. They must not know that I am not a contract worker and I can quit anytime I want. There are less stressful jobs out there and I am very unhappy with my job. A saying goes once said that if you're unhappy with what you're doing then don't it. It's counterproductive to the job, it's counterproductive to yourself, and it's counterproductive to everyone else involved. I believe that my employers are abusing me. Imagine, today they're sending me to another store location just like last week. But the thing is why only ME?! Why can't they send anyone else? Well the answer may be because others don't want to be sent to other stores and they refused. Well I will refuse too... 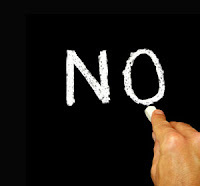 I will say NO! And if they don't respect me and my wants, and they don't give me my happiness back... I will QUIT! No regrets at all... just a sense of relief that my stress from my job is finally over. Hair Color? Black and Proud of It! Why Can't I See My Website?! Get A Job You BUM! The Attack of the Talk-a-ter!